As part of the IceSAR 2012 campaign, Jørgen Dall and Anders Kusk from DTU and I headed up north yesterday to fly the Polaris system over the K-transect on Russell Glacier in southwest Greenland. This is near Kangerlussuaq, 67° N, just inside the Arctic Circle. The campaign supports the evaluation of the Biomass candidate Earth Explorer mission. It may sound a little strange that a mission designed to measure forests properties in the Tropics will also be used to map glaciers and ice sheets. This is thanks to the unique Biomass instrument and mission concept, which is based on using a very long wavelength (P-band) quad pol SAR, designed to acquire interferometric measurements of Earth’s surface. 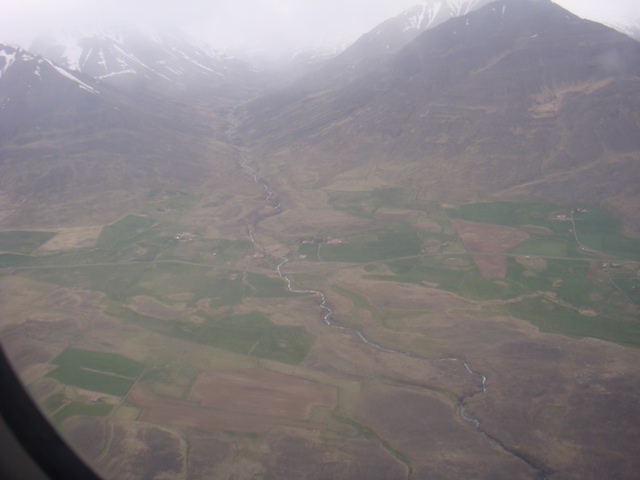 IceSAR 2012 will provide, for the first time, evidence that these observations can provide precious information on ice velocity and ice subsurface characteristics. We are going to do this by taking measurements with the airborne Polaris P-band system, which is configured in such a way that it is similar to the Biomass concept. This trip is particularly special because we are not only flying over Greenland, but also decided to stopover in Iceland to join forces with our colleagues from NASA to map parts of the Hofjökull and Langjökull ice caps with the Polaris system. Getting to Iceland is easy. From Amsterdam, it takes three hours by plane to Reykjavik. 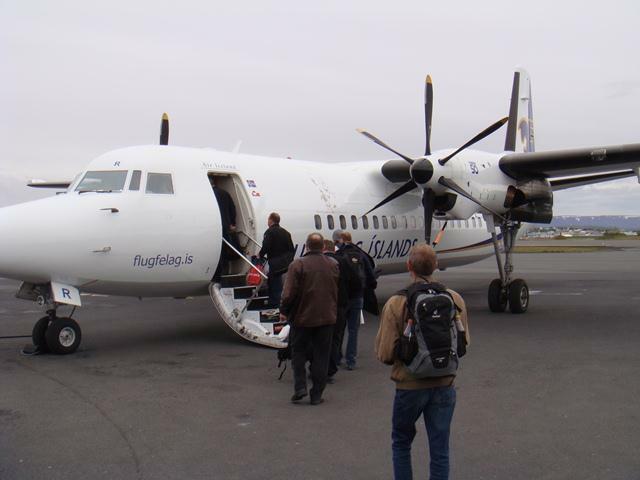 In Reykjavik, we changed plane to travel on to Akureyri on the north coast. Akureyri is the second largest city in Iceland and the base of Norland Air, which provides the planes for most of our campaigns far north. In Iceland, we coordinate our flights with the NASA UAVSAR team, who are carrying out a larger campaign to map the Hofjökull and Langjökull ice caps. The UAVSAR team will map the entire Hofjökull and Langjökull ice caps multiple times in the 12-day campaign. Since we only have one day in Iceland and a swath width 4–6 times smaller than that of the UAVSAR, our Polaris system can only cover a very small part of the ice caps. However, the P-band data acquired by Polaris will be an invaluable dataset to better understand features seen in the UAVSAR data. Mark Simons from NASA expects a higher sensitivity to changes of the dielectric constants with P-band. This data together with UAVSARs L-band data could provide a better understanding of a recently observed change in the dielectric properties of the ice sheets during the melt season. Mark is also interested in Polaris sounder data for comparison. 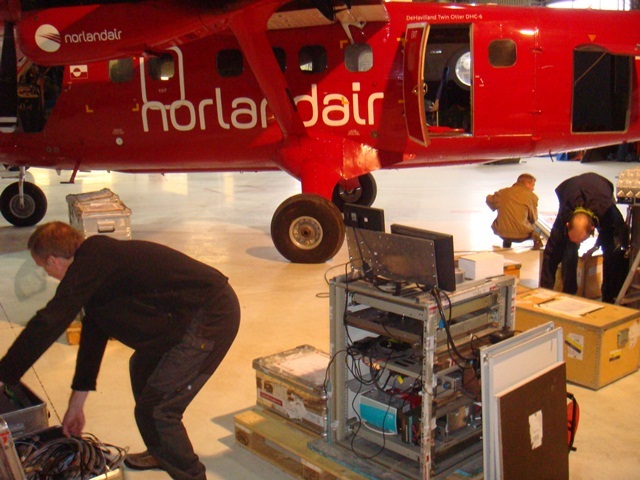 Today, we are spending all our time to assemble the instruments and install them on the plane. As we have to start at 04:00 on 8June everything has to be ready and tested this afternoon. The tight schedule and just one day in Iceland does not allow time for any problems. We will also meet with the pilots and discuss the flight schedules. Just two days ago, Mark told us of an unusual surface mudflow over one of the glaciers that indicates that there is a pulse of water coming up to the surface from the bed. Apparently, nobody has seen anything like this before. It could mean that the ice is particularly thin there. Having Polaris sounding measurements over this spot could be fascinating so we’ll try to adapt our flight lines accordingly.